Shopping around for a new item can take time and effort if you are not familiar with the different options that’s available on the market today. 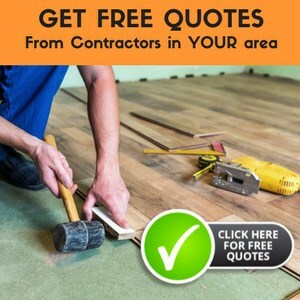 Therefore, it is very important that you do a good job of researching what an industry offers prior to making a decision to buy, specifically, in situations where you are looking for the best kind of carpet pad for the floors you are trying to protect and cushion for the most comfort. With this being said, here are a few options that you can make your selections from. All have been listed with their features, pros and cons, and a short summary of each individual type that is currently listed on amazon.com. Fits perfectly under a large rug, specifically, when the rug is soft to the touch and thin in size. Large sizes can be trimmed down to be customized to a specific area. Overall, this carpet pad is a very good buy, and overall, the majority of reviews are good. Since it is LEED certified for air quality, it can be used in more than one room in a home or an apartment. Open weave construction included in its overall design. Made to allow the floors underneath to breathe. Stays in place once it has been positioned, even when kids are playing in and around this pad. This rug pad has received great positive feedback from its users. It is great for protecting your flooring and keeping carpeting in place to prevent slips and falls. Also, it is an affordable buy for those who are interested in saving money. All 3 rug pad options make great buys. However, the felt rug pad has one feature that is different from the others, and that is not being designed with a non-slip feature for those who are concerned about its stability and safety regarding movement.